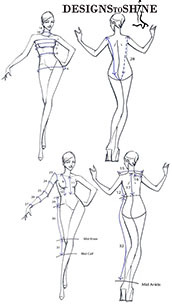 Getting the Ballroom gown or your latin dress is as exciting as the dancing itself, and we are here to make sure you have a wonderful experience getting your perfect dress. Stunning one-off creations for ballroom dancewear make Designs to Shine the premier choice for performers,television, movies and special events where more than just a touch of class is needed. Designs to Shine was chosen to be in a contest hosted by Swarovski. We made this dress special. Click or tap image for more options. We specialize in creating glamorous gowns for fabulous women of every shape and age. Every gown looks like a delicate work of art, they are durable, made to withstand extreme dancing. Our Latin dancewear is constructed in a very similar manor to our Smooth and International Standard gowns. 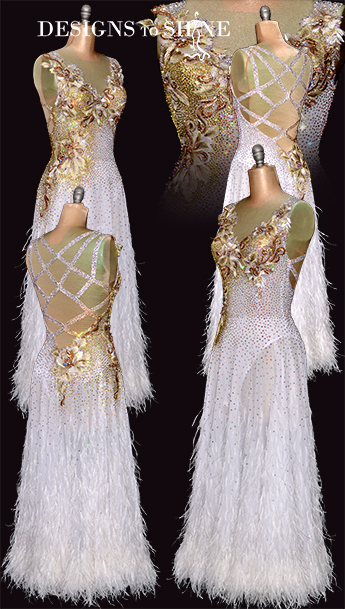 Every Latin dress and Rhythm gown is hand constructed and completely unique.